Get ready to see stars, planets, the Moon, and interesting sky objects. The general public is invited and most welcome! Park entry fee is $5 per car. You must have paid and entered NO LATER THAN 7:00 PM when the gate entrance is closed for the evening. There will not be re-entry once you leave. Find NEFAS in Parking Lot #8. Limit your use of vehicle headlights whenever possible during stargazing hours. Bring red lights if you have them. There are restrooms, water fountain, but few lights. You may wish to bring a flashlight for the restrooms. Consider bug spray in case it is needed, but be mindful of any insecticide overspray that may reach telescope equipment and apply in another location. 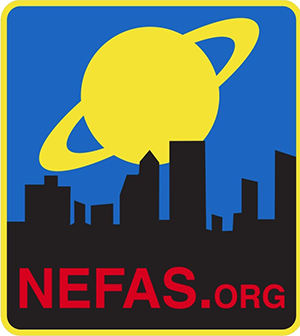 All NEFAS volunteers bring their personal stargazing equipment and will instruct guests how to look at the sky objects safely without damage. Adults may need to assist children. If you are having trouble with your own telescope, bring it along and one of our Telescope Doctors will take a look at it.